When working outdoors, it is often the case that having adequate equipment to keep you warm and shielded from the elements can make a significant difference not only to your well-being, but also your ability to do your duties with greater efficiency to complete the job at hand. Of course, if your job involves you spending large amounts of time in extreme conditions and poor visibility, then investing in the proper personal protective equipment (PPE) is a must and our HiVis Parka Jackets can certainly serve this purpose. 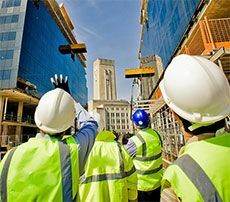 If you are an employer, then it is your responsibility to make sure your workforce is adequately equipped with the correct PPE and just buying the first hi vis clothing items you find won't necessarily mean you are fulfilling your obligations. However, at Hivis.net, our stock of hi vis parka jackets are all BS EN 471, which means they meet the standards established by the Health and Safety Executive when it comes to ensuring the wearer can be easily seen in conditions where visibility isn't good. Similarly, our products are BS EN 343, guaranteeing they will provide sufficient protection against foul weather conditions. Also among the products we stock are hi vis parkas that conform with GO/RT 3279, meaning they fit the minimum requirements for use in the railway industry either on or near the line. This is based upon the EN 471 standards, so you can also use these items for more general use as well if you wish. Just like our high visibility vests, you can also choose to have your parka jackets printed or embroidered with your brand name and/or logo. You can pick from a range of designs and fonts, while we do not charge an artist setup fee, unlike many of our competitors. Similarly, one of the real benefits of purchasing from Hivis.net is that we don't require you to make a minimum order to qualify for our great prices. Even if you just want one hi vis parka jacket for yourself, we'll still be happy to customise it for you. If you haven't already, why not check out our great print tool? It is easy to use and gives you a clear idea of how your jacket will look, without any commitment to buy. Simply click on the 'Print on this' button in your basket to get started. For more information, call us now on 0845 009 6750. Below is our range of High Visibility Parka Jackets - choose from various colours, qualities and styles including GORE-TEX for extreme conditions.